Courtesy Photo | Parkway HS senior Jayde Barnett with her awards following the senior assembly Wednesday morning. Jayde Barnett will graduate from Parkway High School later this month with an achievement not many can say they’ve earned. Barnett has attended school every day since kindergarten, not missing a single day in 13 years. 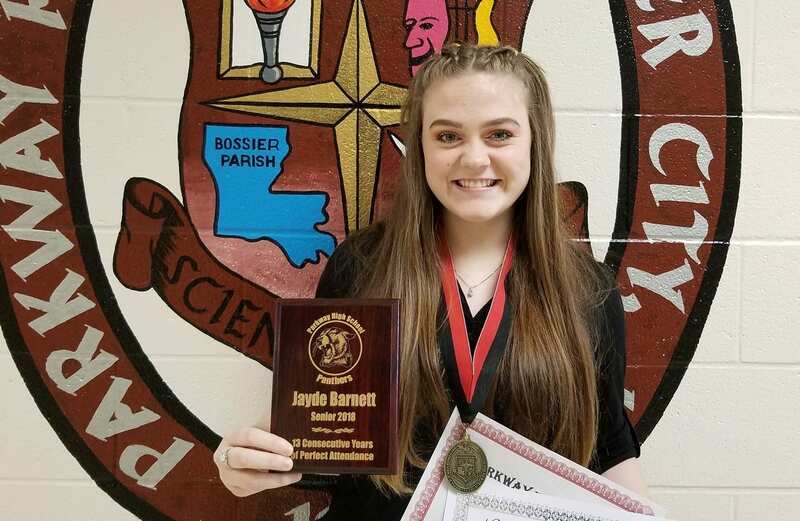 She was recognized Wednesday morning at the senior awards assembly, where she received a plaque from Parkway and the State Superintendent’s Honor Award from the Louisiana Department of Education. Courtesy Photo | Jayde Barnett (left) and her mother, Mychele Price, have each finished their K-12 education with 13 years of perfect attendance. Price graduated from Airline High School in 1992 and Barnett will graduate May 19 from Parkway High School. 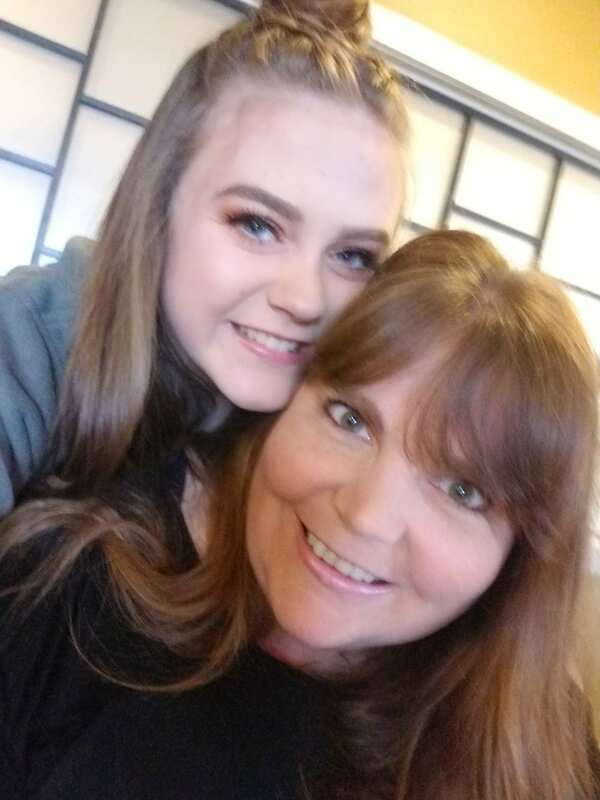 Jayde shares this achievement with her mother, Mychele Price, who graduated from Airline High School in 1992 with 13 years of perfect attendance. Price’s late mother, Marty Ballew, inspired this goal, instilling the importance of school and education early in Price’s life. “She told us no matter how smart you are or how athletic you are there are two things you can and must do — go to school and do your homework,” Price said. Going that many years without a sick day sort of happened by luck and Jayde refused to skip school. Price said she’s very proud of her daughter. Jayde is the 18-year-old daughter of Bill Barnett and Mychele Price. She’s an honor student with a 4.1 GPA, a member of the National Honor Society, National Technical Honor Society, JROTC Captain and a Commander of the Kitty Hawk Air Society, Beta Club, MuAlphaTheta, a six year member of the Talented Arts theater program, and a four year member of the Pride of Pantherland Band color guard. She’s also a member of Candace Dance company, where she takes ballet, tap, jazz and hip hop classes, and works at the YMCA every day after school. Jayde plans to attend Northwestern State University in the fall to study criminal justice with hopes of one day attending law school. She has also received a scholarship to be part of the Demon Heat Color Guard at NSU. Did she never get sick in all those years? Congrats! Tracy Mitchell Young & Mary Mitchell someone continuing the tradition! That is awesome. All I got was the same certificate in a frame haha. But kudos to her! 20 years later! Hard to believe it’s been 20 years!! !